Jeff Craig is the senior network analyst for physical plant management at CSUN. He’s also an alum – he graduated in 1970 and he’s been part of CSUN for more than 50 years. When he arrived, the ringing of the carillon throughout campus brought back a happy childhood memory, but then it stopped working. Jeff took responsibility for it, raising money to have that large collection, of what are really amplified tuned rods, repaired and moved to a better location. 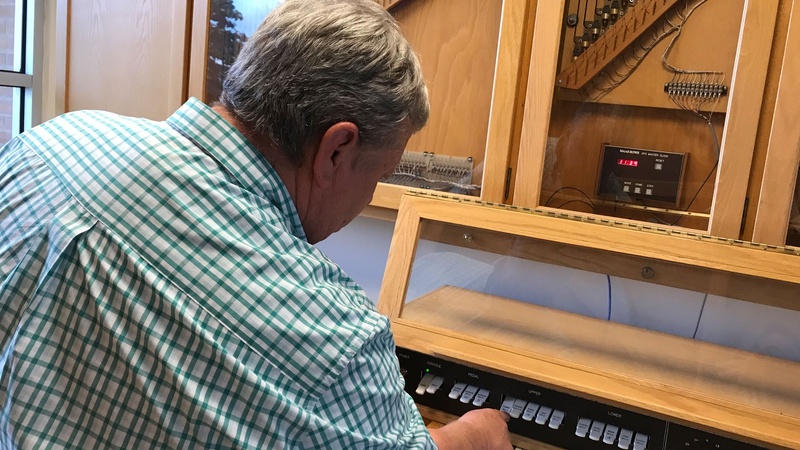 He has continued as the “unofficial / official caretaker” of the campus carillon system for the last 35 years.